Wooden handles for foam paintbrushes have lots of uses, and we’ve extolled those uses before. Click here to revisit that post. Here is one more. 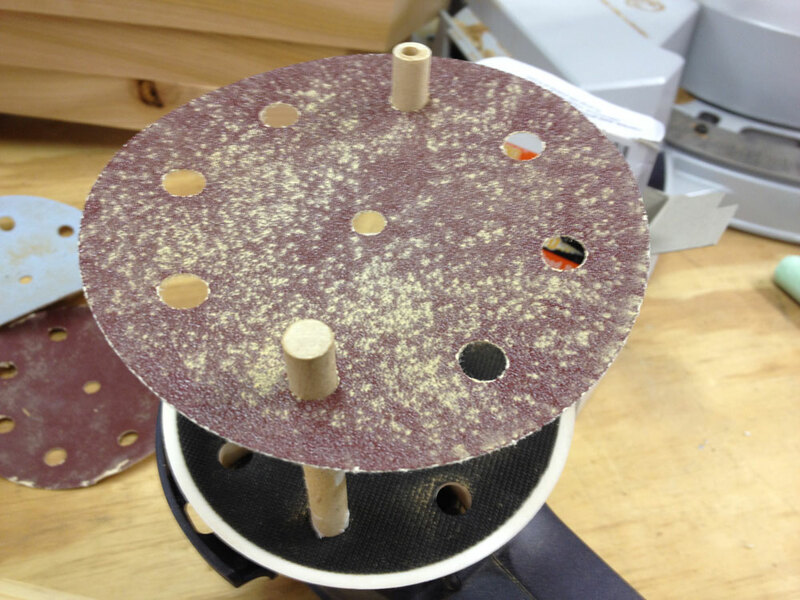 When the foam part of the brush has given its all, and the plastic “blade” is broken off, if the wooden part is 3/8” diameter, it makes a great guide for installing new sanding discs on your random orbit sander’s pad. The 3/8” size “dowel” is a tight fit in the holes of the sanding pad. Put a stick in the diagonally-opposite sides of the pad and slide the new disc down and into place. YOU PAID WHAT? 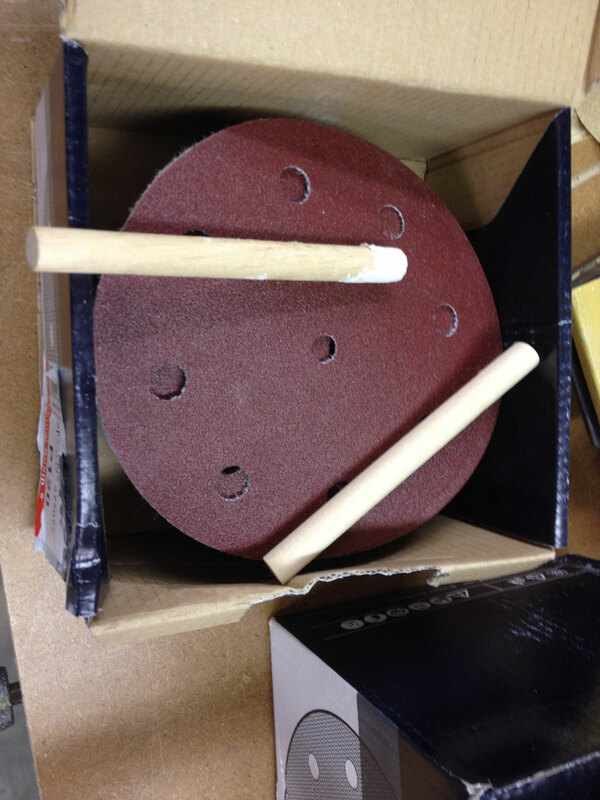 These 3/8″ dowels were free, salvaged from many-times-reused “disposable” sponge finish applicators. The snug fit means your hole alignment will be perfect. Just slide the loops down to the hooks. You will have perfect alignment for the dust extractor to remove the maximum amount of swarf as you work. I like to keep two dowels in each grit of sandpaper. That way, no matter which sander I’m using, the alignment devices will be handy. Two brush handles in each grit of sanding discs means quick, easy (and, did I mention free?) alignment.